The sound flows extremely natural, instruments get properly separated and, contrary to other types of loudspeakers, there is no need to seat in a hot spot to better receive the sound. Open Baffle technology allows more than any other to faithfully reproduce the sound stage. Through open baffle speakers the sound flows extremely natural, instruments get properly separated and, contrary to other types of loudspeakers, there is no need to seat in a hot spot to better receive the sound. 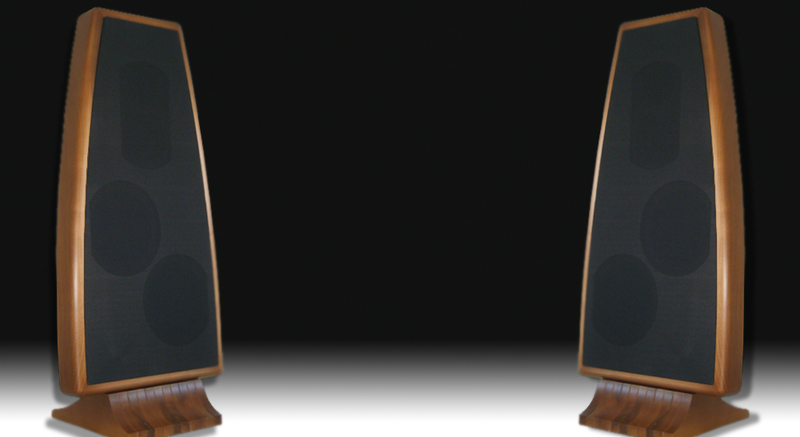 In addition, the sound radiating from the rear side of the speakers is slightly delayed as compared to the sound radiating from the front side. This effect is perceived as a “reverberation”, which provides a warm, transparent, three-dimensional outcome to the sound reproduction. Concentus CTR-02’s speakers and crossover are designed and assembled on the acoustic screen following a scheme meant to guarantee that the impedance stays linear as the frequency changes. The solid walnut, hand-made cabinet is designed with the objective to eliminate any possible resonance. Concentus CTR-02’s pleasant design and accurate finish convey elegance and make of these speakers a precious object, in the ancient tradition of “Made in Italy”. Due to their high efficiency and impedance stability, CTR-02 loudspeakers couple the best with tube amplifiers. Nevertheless, they can as well be used with powerful solid- state amplifiers, with outstanding results in terms of dynamics and spatiality.